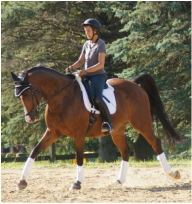 "Susanne understands that the horse and rider work as a team, and improvement can be made on both parts." "Susanne teaches the execution of practicing the movement, and the steps by which one first begins, then improves, and finally executes the full movement correctly, reliably, and consistently." 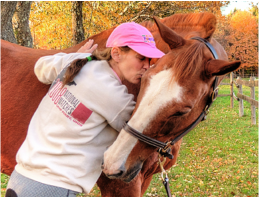 "Susanne keeps the horse's mind, body and spirit at the forefront of her training. She has encouraged me as a rider and my horses are making great progress! " "I feel so much more supple, strong and straight in the saddle. 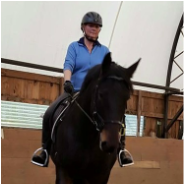 I have also seen my students benefit both from riding with Susanne and from my improved ablity as an instructor." "I love her creativity ...we don't just ride on a endless circle. She engages both my brain as well as my horse's...and she believes in me"